This year Howl-O-Scream at Busch Gardens has captured my imagination and inspired that neglected artistic side to flourish once more. Many people are surprised to find out that my degree is in Studio Art and Animation. Sadly, that life long dream of being a traditional Disney Animator was promptly crushed when the studio stopped producing hand drawn films. Yep, you guessed it. Life happened. Bills needed to be paid and my passion for art fell to the wayside. 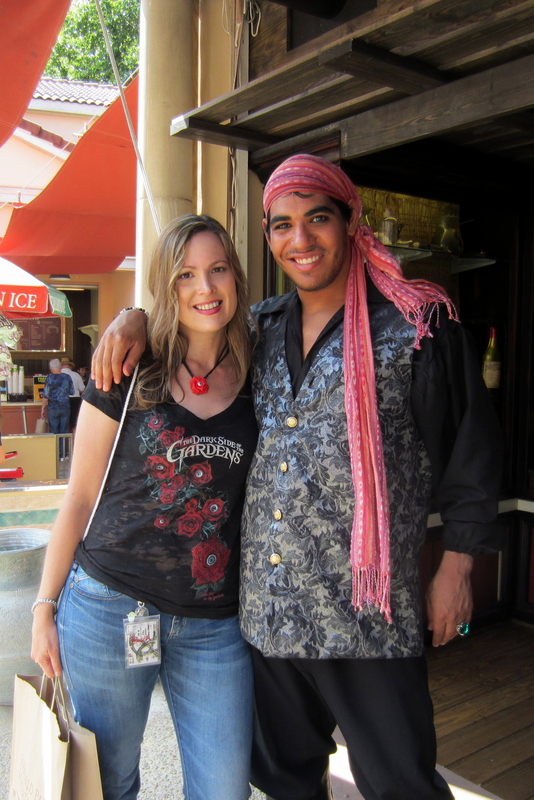 Still, through it all, Busch Gardens has been a muse for me on many occasions. Going to the park and seeing the murals and small details captured my heart and imagination for decades. The quality and dedication to themeing is what Busch Gardens has been known for; something that is rarely appreciated until it is gone. Therefore, I decided to make a series of articles about my need to capture these works of art and present them to a broader audience. It is my hope that when you read my stories and view my work, that it inspires you to look at Busch Gardens in another way; to see the beauty in color, line, light, and form.. to see performances as art and expression and to enjoy the little things. Busch Gardens equals entertainment. Whether you are on a ride, watching a show, having a tasty treat, or just taking in the sights, the goal of the park is to entertain you. Many dedicated people behind-the-scenes; the unsung heroes, work tirelessly to find a way to make the magic happen. 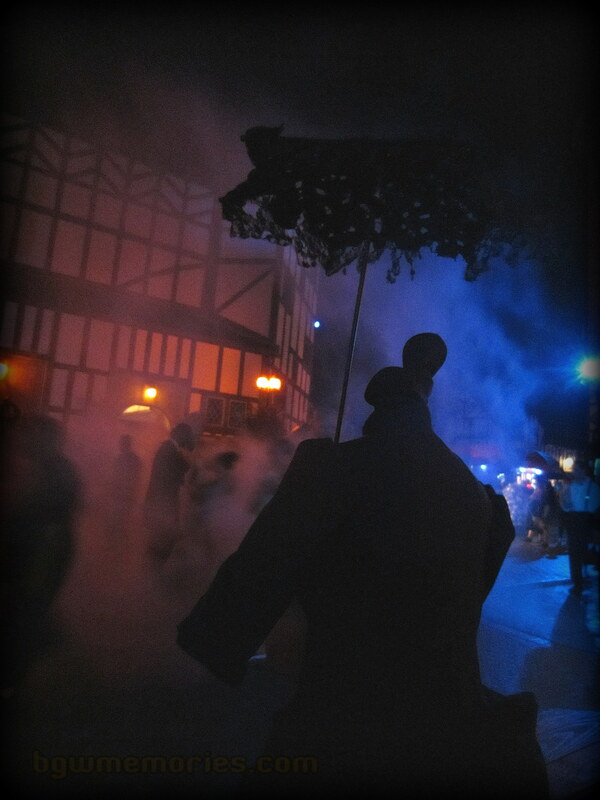 This year for Howl-O-Scream, the park tried something new with their “Terror-tories” concept. Obviously, there was a decision made to bring the adult entertainment to a new level. I found myself intrigued by the new sights and sounds. The number of times I have seen the show speaks volumes for the production value and talent of the performers. For me, I feel that I got away with stealing a free ticket to see a Broadway show. From the costumes, lighting, sound production, set design, choreography, and vocals; I am continuously entranced by the quality of it all. For example, the rich colors of the opening number, the soft hues of the nocturnal set, the velvety purples and gold of the finale all give me chills. 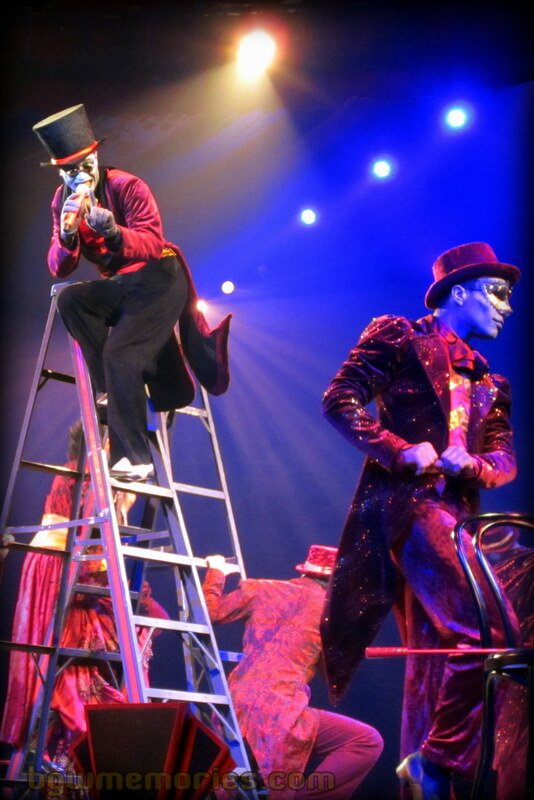 The choreography uses these colors to compose the performers on stage much like painting a picture. Just the lone door and stairs evokes “theatrical” production. The simplicity is the beauty of this set. Colors pull you into another time. The rich fabrics and performances of the actors capture the imagination and spirit. 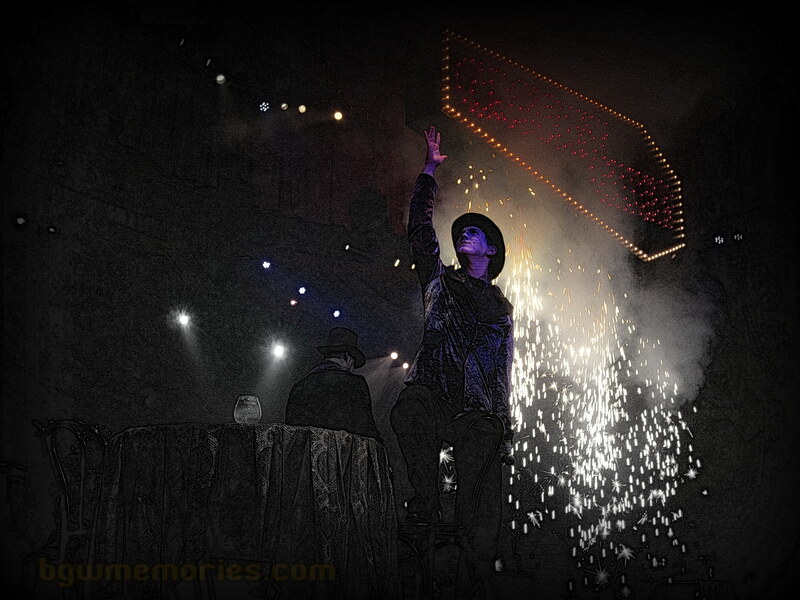 Lighting highlights the performers interaction and directs the viewer to that perfect moment on stage. 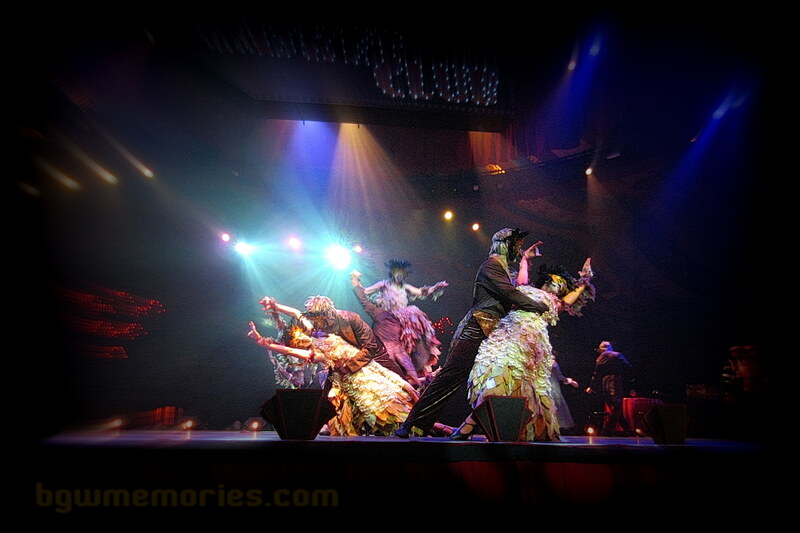 Subtle lighting and color sets the mood for the performers to create a moment like this. The nocturnal dance number changes to a soft blue; moonlight feel. 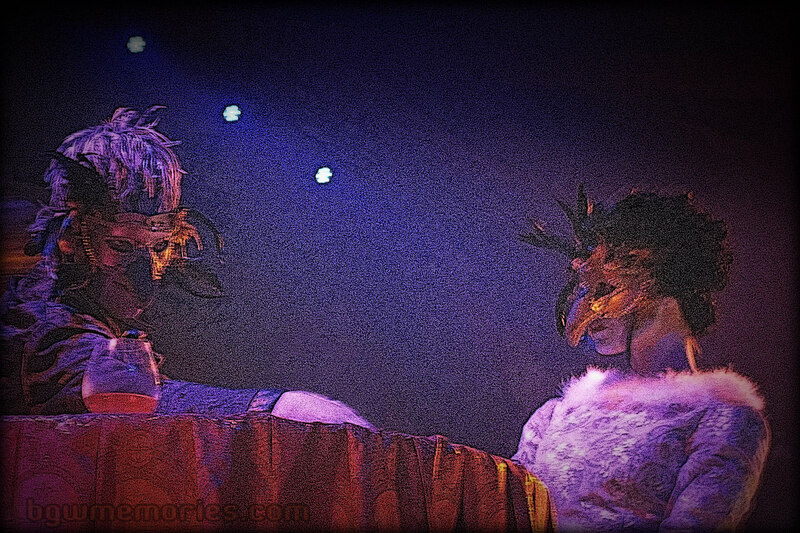 The outfits flutter to elude to feathers in flight and the performers act owlishly as they dance. 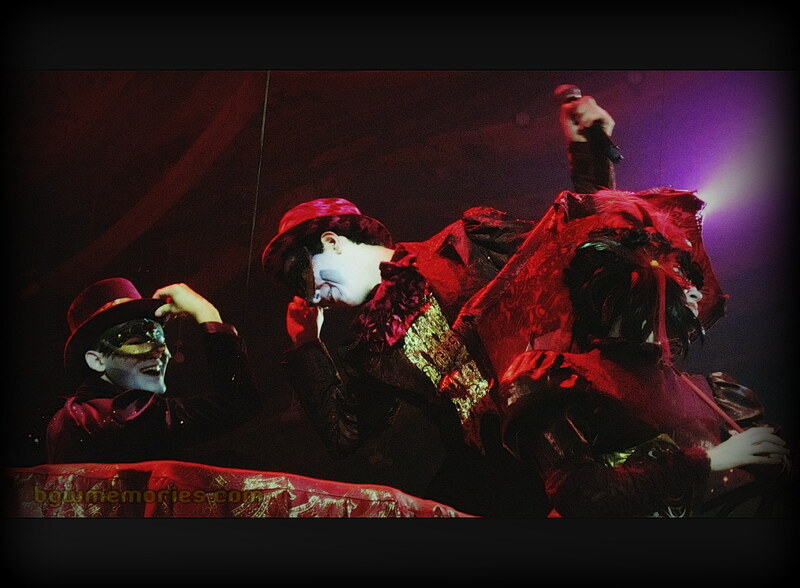 Perfect lighting and powerful vocals dashed with a splash of humor make this scene forever memorable. 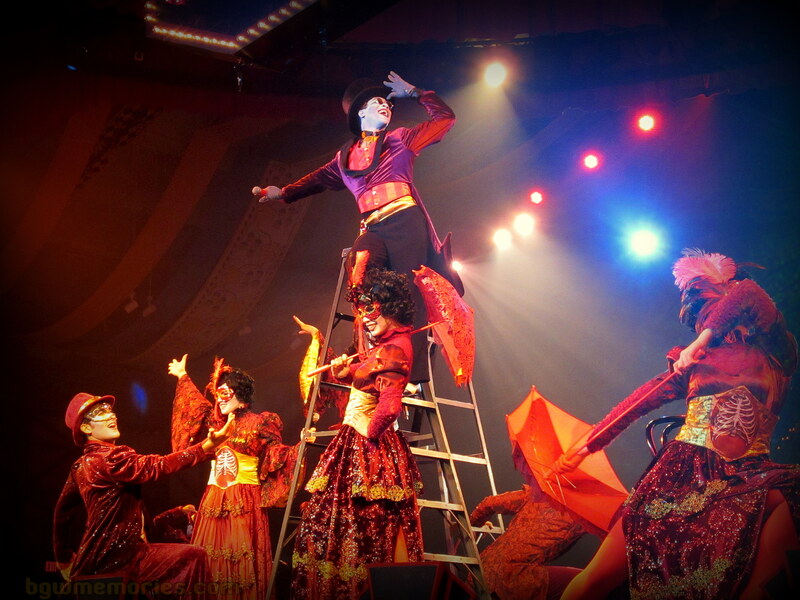 From top to toe, the performers hist every motion to provide that extra magic to the choreography. 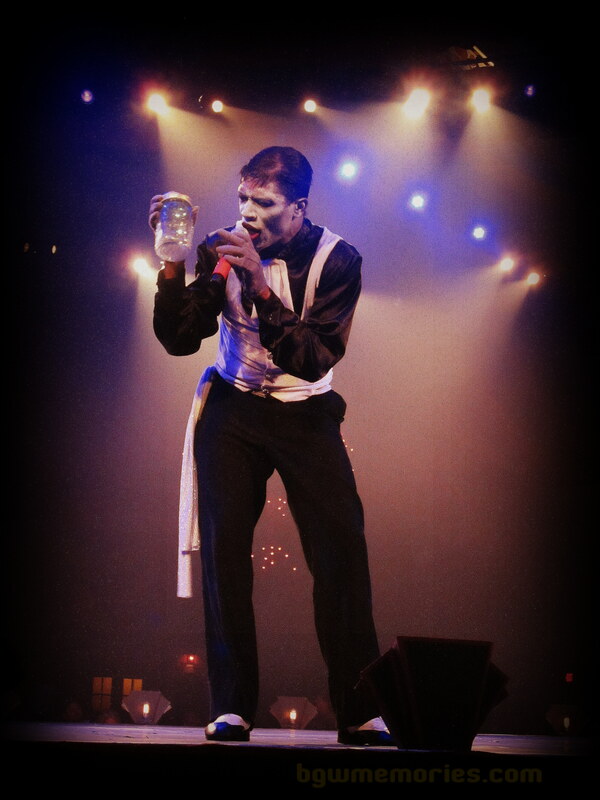 Body language and and background colors convey exactly what needs to be said without even hearing the lyrics. My favorite dancer of Night Beats. I can’t help but to watch his effortless motion across the stage. The art of humor and dialogue. Let us not forget the script writers as well! Pyrotechnics add drama to a very theatrical pose. My favorite composition from Night Beats. The newcomer this year is my strongest recommendation for a dinner-theater experience. 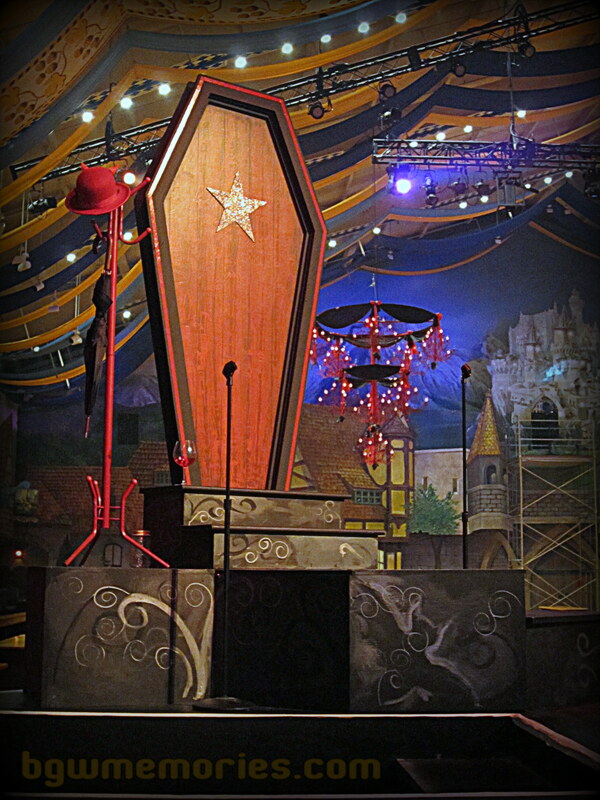 Blood Banquet never fails to entertain your sense of humor and to please the pallet with luscious food and beverages. 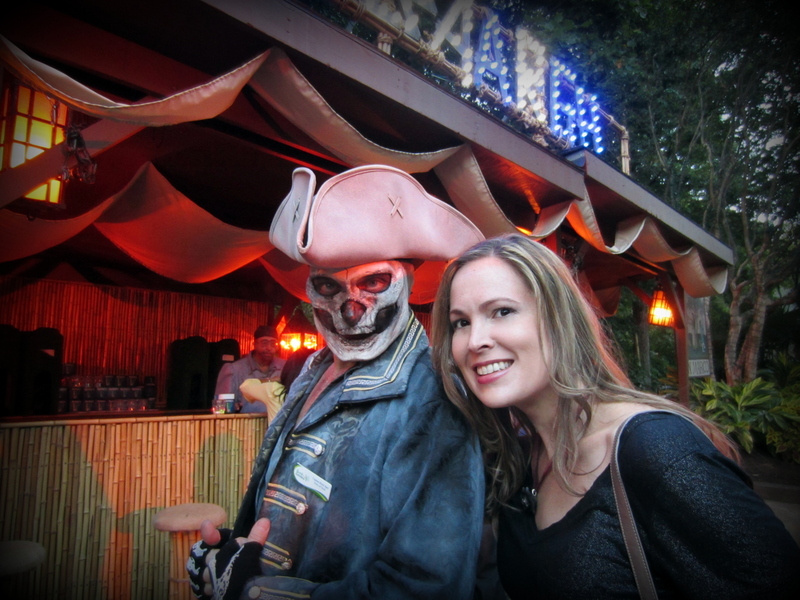 By far, it has been my favorite addition to Busch Gardens along with the Food & Wine festival earlier this year. 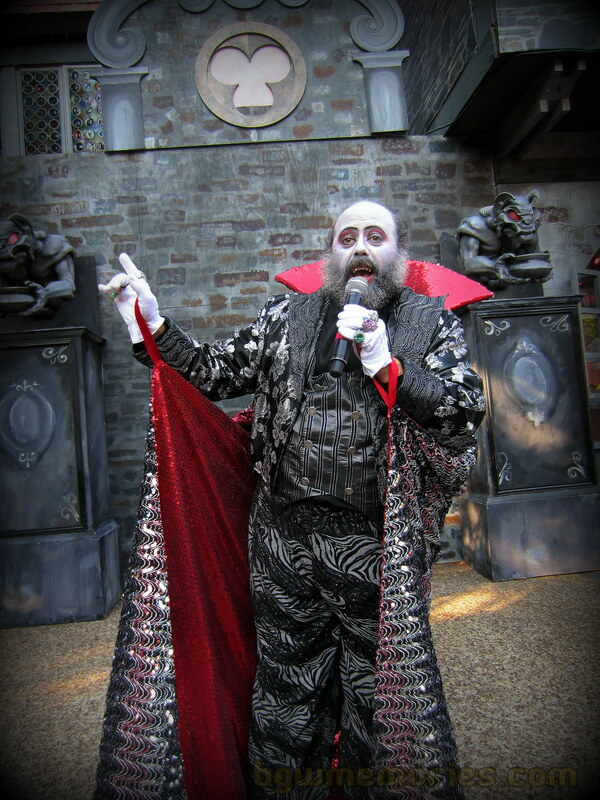 Blood Banquet set the bar higher at Busch Gardens. 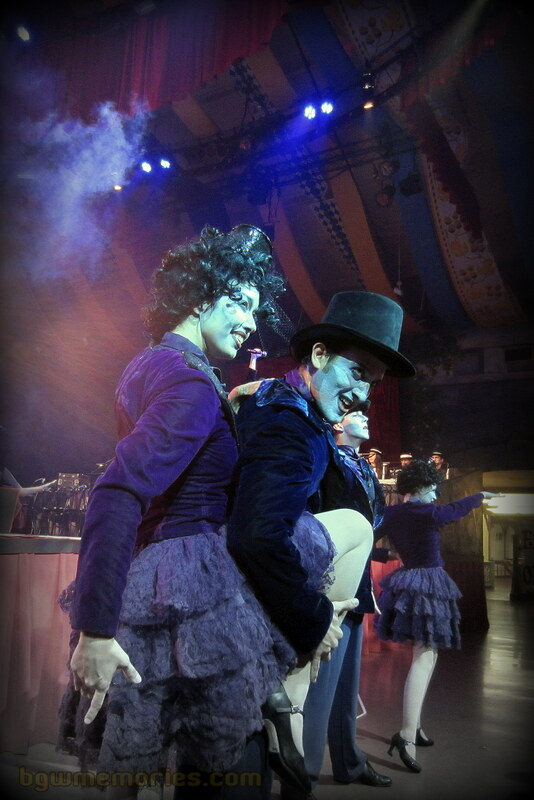 This is the one place you can interact with the performers and share a few laughs. 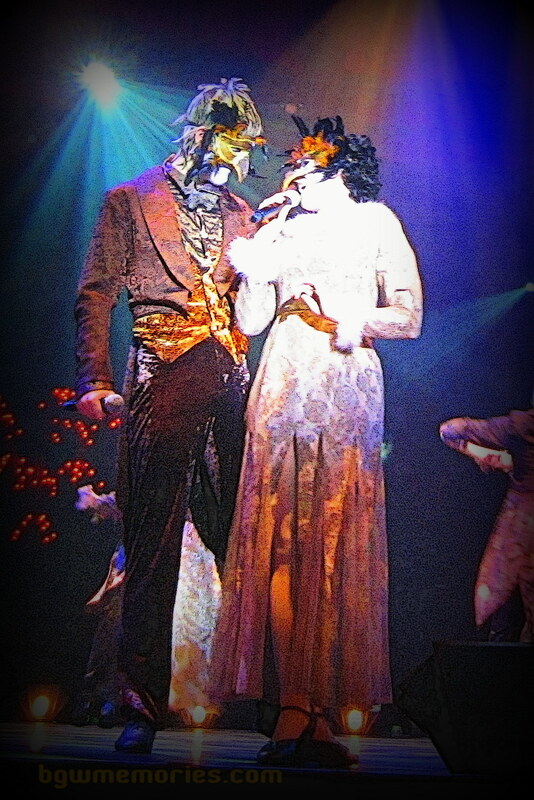 You get to see their costumes and lovely personalities up close and feel like you are a part of the act. The whole things reminds me of Threedneedle Fair. 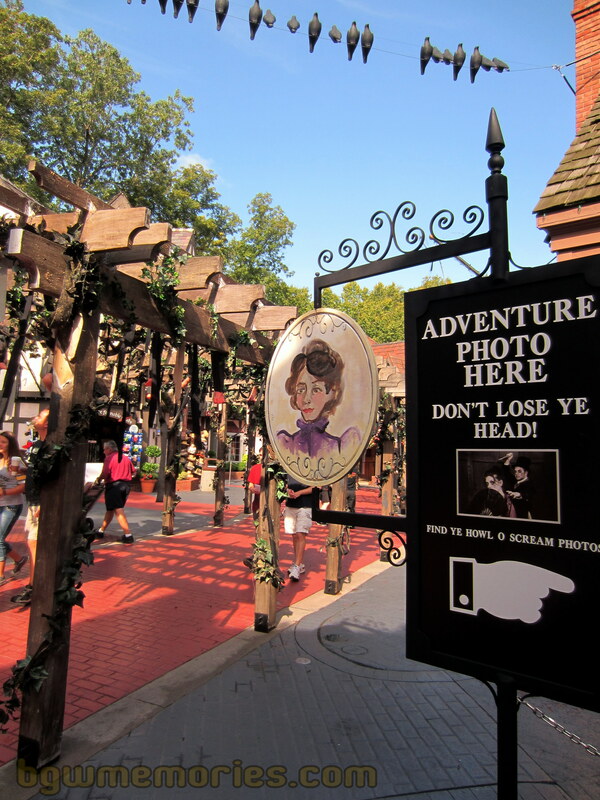 Back in The Old Country era of the park, actors ran the games and interacted with guests daily in this area. 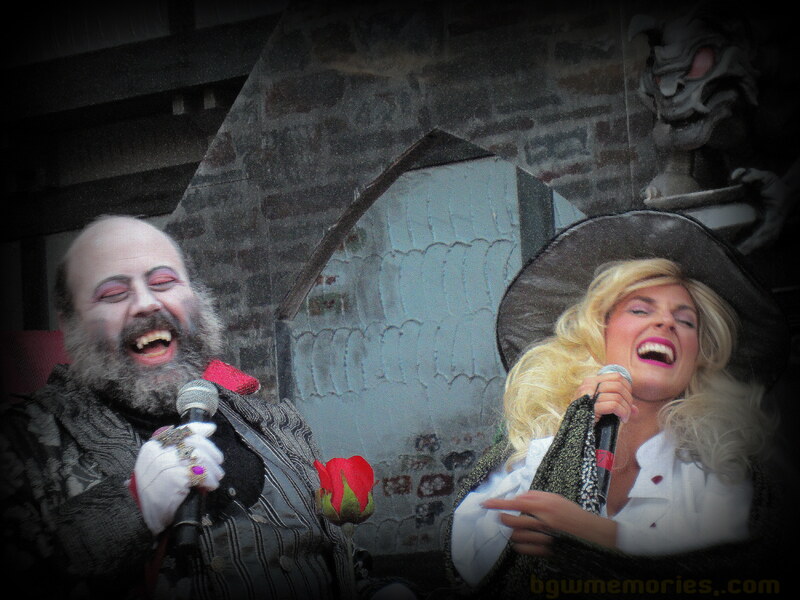 They constantly stayed in character and spoke strictly with Old English accents. 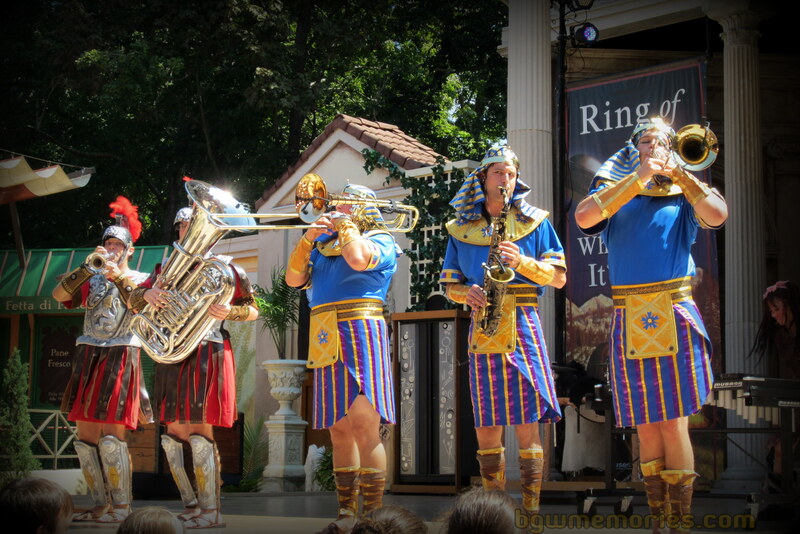 I was happy to see a similar concept return to Busch Gardens this year. I love the cinema feel to the costumes and hair styles. Creating an atmosphere is the first step. 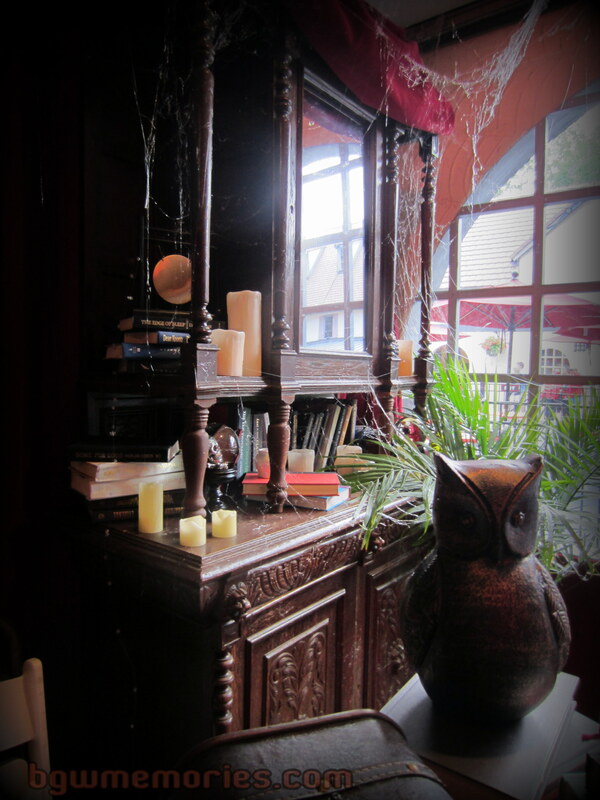 Inside the Vampire Point Hotel, the buffet decor is set to have that old world; haunted charm. 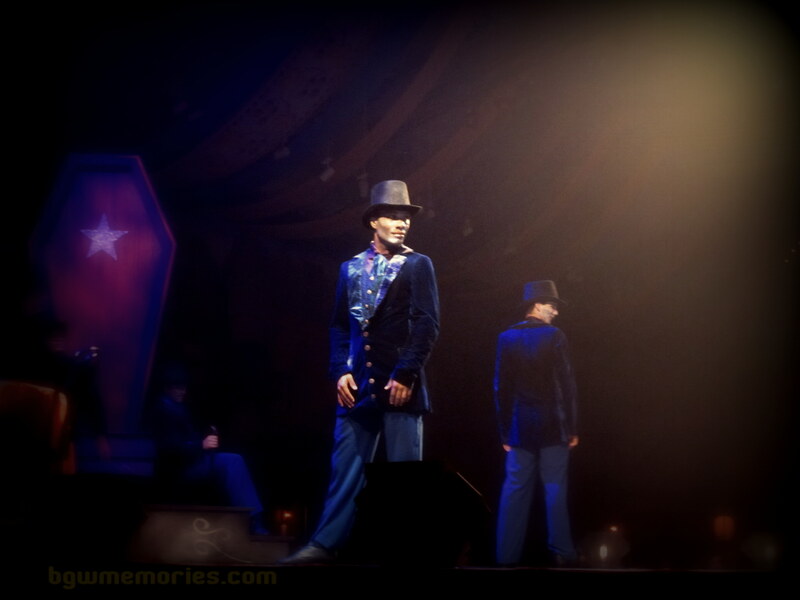 Let us begin with Count Vladtastic. The show starts once this colorful character sets foot outside. 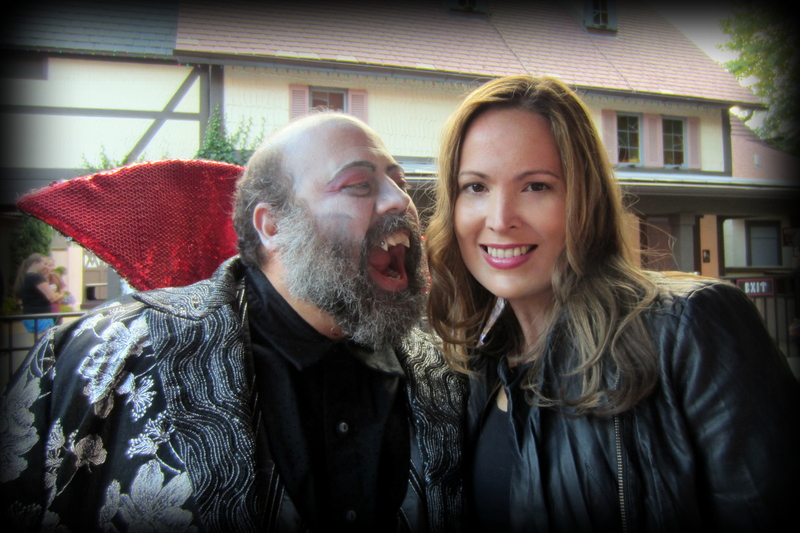 His dry wit and quick thinking add to the fun and whimsy of dinner at the Blood Banquet. 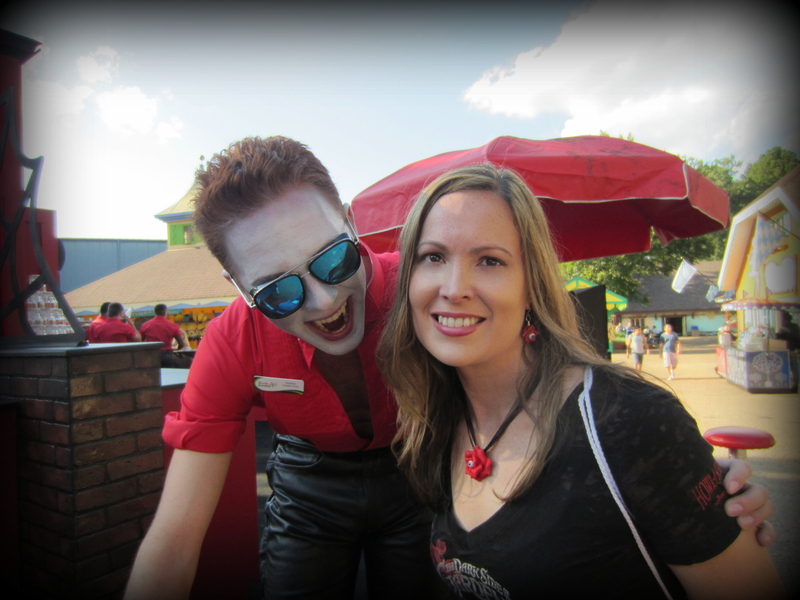 It is all about Guest interaction at Blood Banquet. 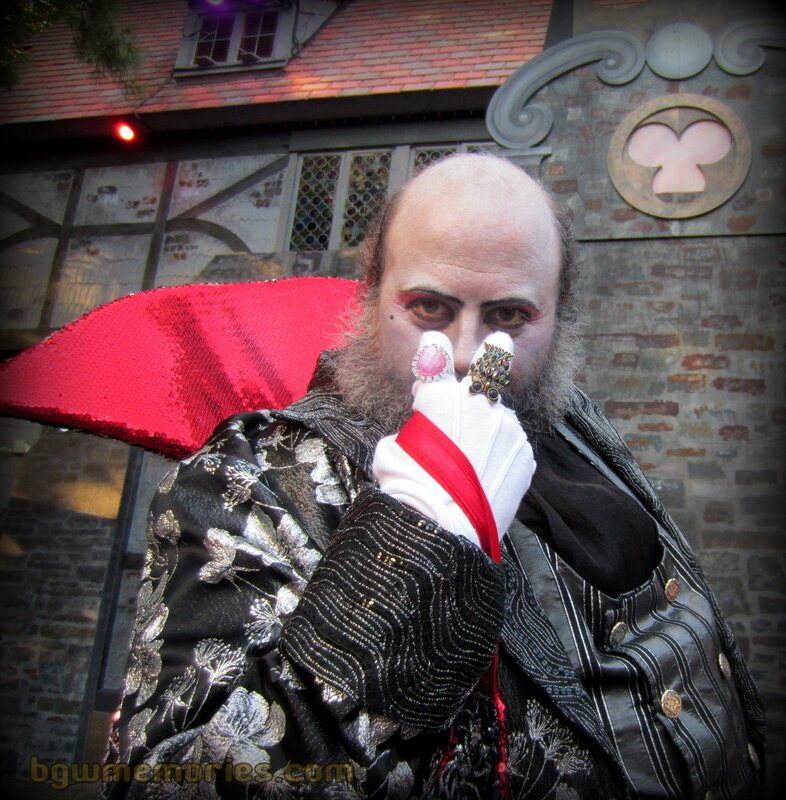 Better watch out; Count Vladtastic is watching you! The Barney Collins, Lugosi, and Marge Collins. Often times you will find them roaming outside the dinner area and never miss a great photo op. 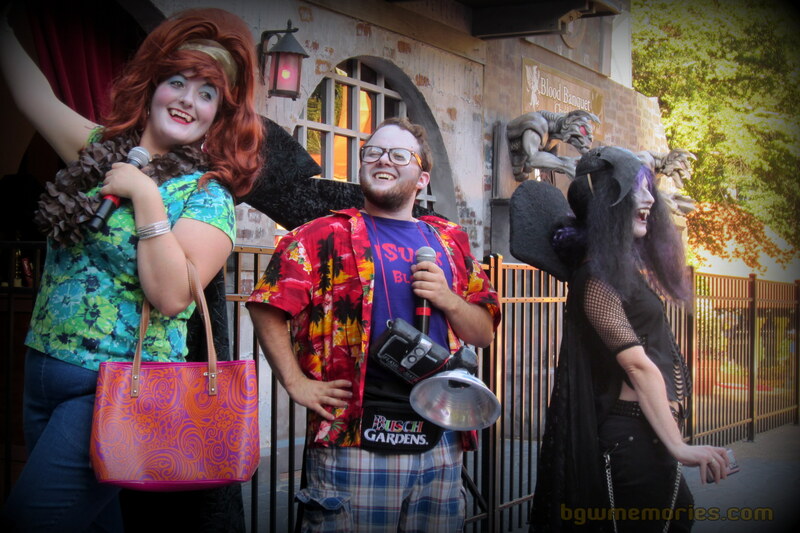 Love the costumes and the fact guest interaction is the first priority for Vampire Point! 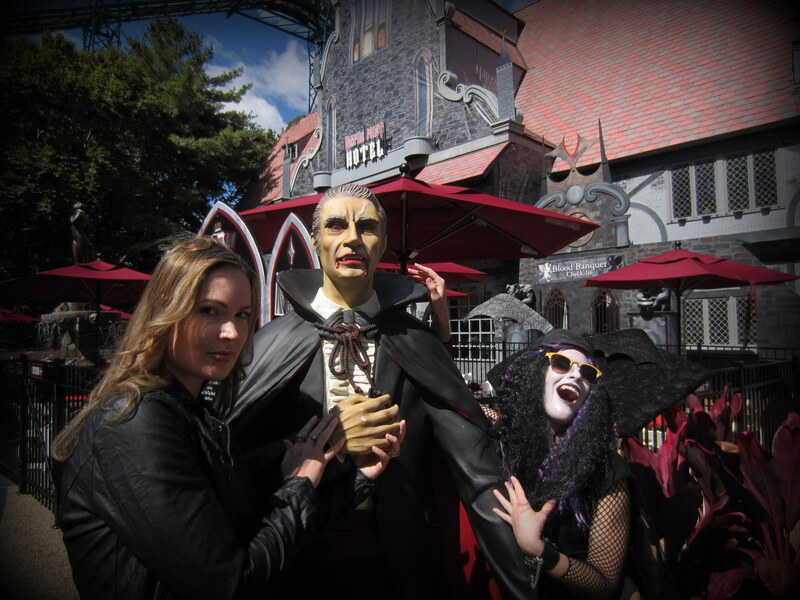 Vampire Tourists, who would have thought? Marge, Barney, and Leticia Collins make sure to add flare to the show! Chef Juliet uses her French Charm and Brewing talents to entertain guests. Ironically, she uses garlic in all her food. Notice the use of Green & Red. Great use of complementary colors. Lugosi, obviously named after the famous actor Bela Lugosi, is not a vampire and is both resentful and relieved his master Count Vladtastic has not made him a creature of the night. Mary Sue prays to be a vampire; Mary Ann (sporting the garlic) does not. These lovely ladies hope to serve you drinks and provide you a warm welcome at Vampire Point Hotel. Their hairstyles, costumes, mannerisms, and beauty take you to another era. Kudos to everyone! 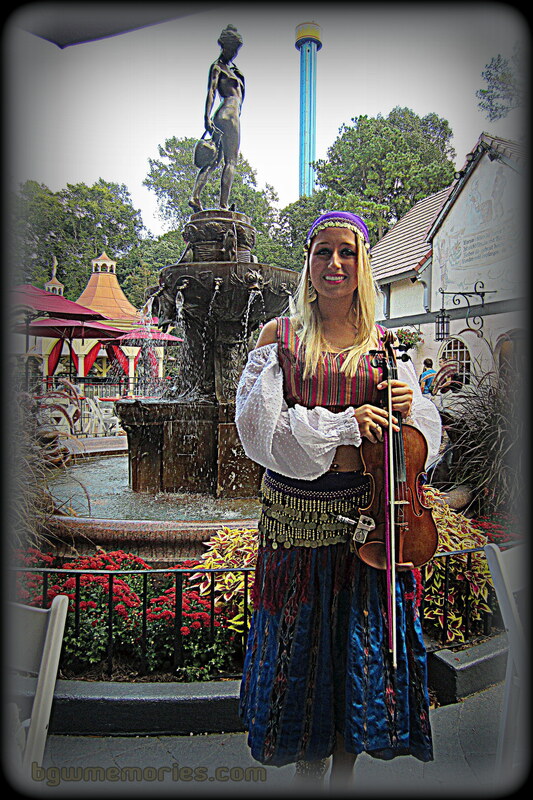 A little dinner music is provided by the lovely gypsy violinist, Svetlana Bendova. Her colorful costume and lovely smile entrances the guests while they enjoy their meal. Leticia Collins may text on her phone and would kill to see Lady Gaga, but she never misses the chance to shake her wings or have a drink with guests. Love the hat! 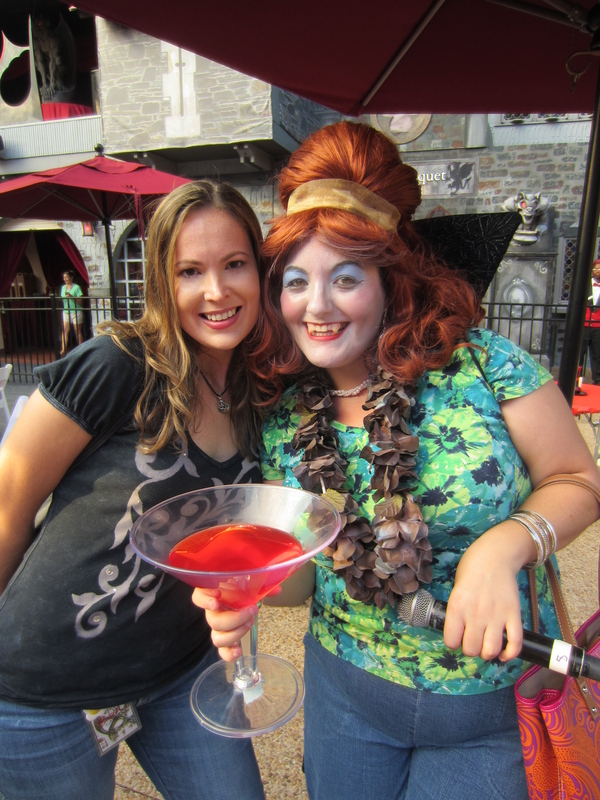 Good food and good times are key at Vampire Point! It is, Valdtastic to say the least! Other Examples: It is in the Details! 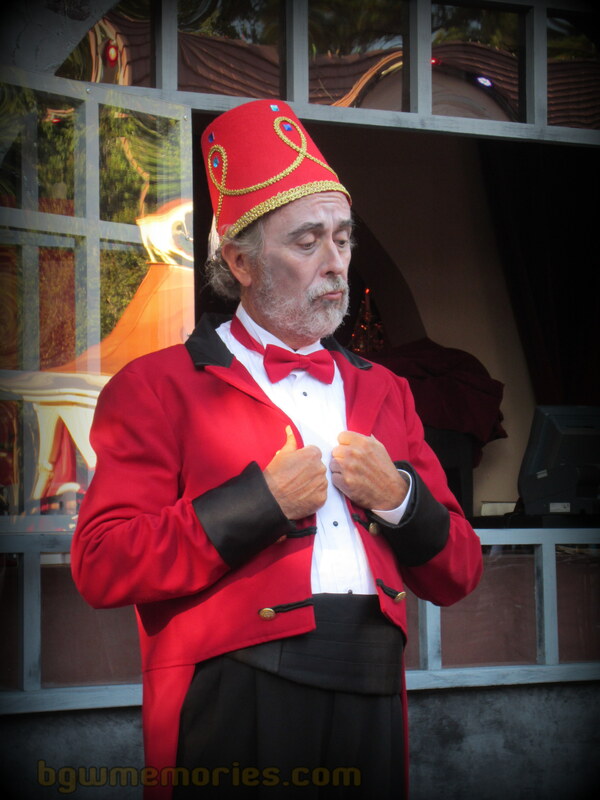 The rest of my artistic inspiration is based on several magic moments around the park; an extremely energetic performer that goes above and beyond or the hidden details in alcoves around Busch Gardens. If you look closely, you can always see art everywhere you go. 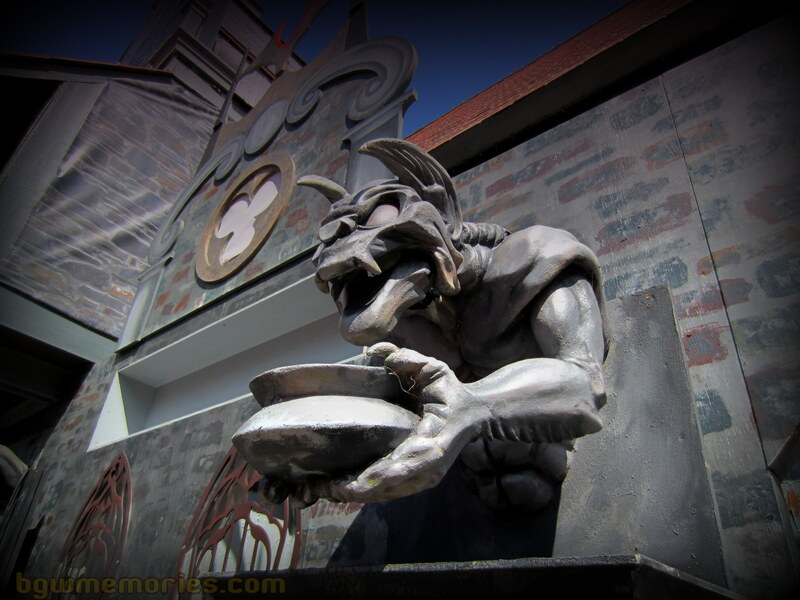 Making a return appearance is the Gargoyles from the Enchanted Laboratory show in the 80s. 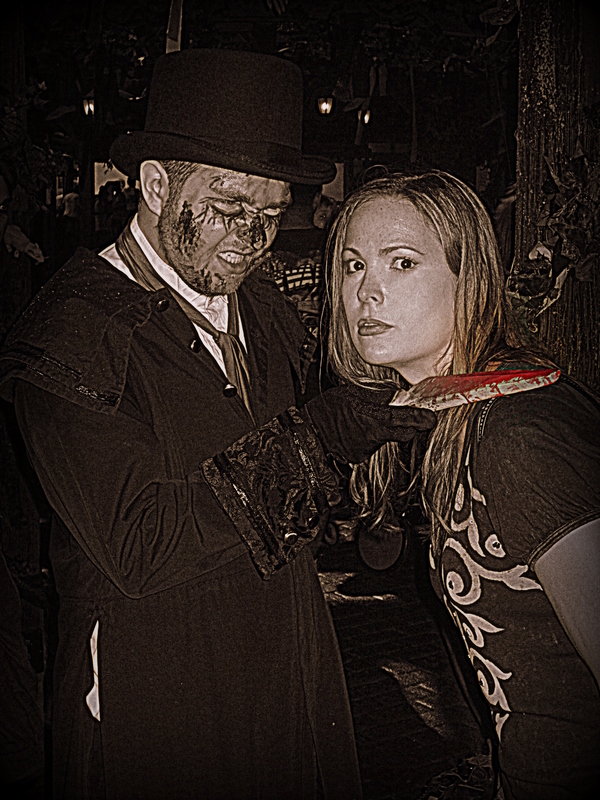 Ms. Nellie goes above and beyond to entertain guest as they roam through Ripper Row. Her character has to be one of the most interesting additions to the park in years. Smoke, shadow, reds and blues add horror to the silent and spooky headless ladies of White chapel London. 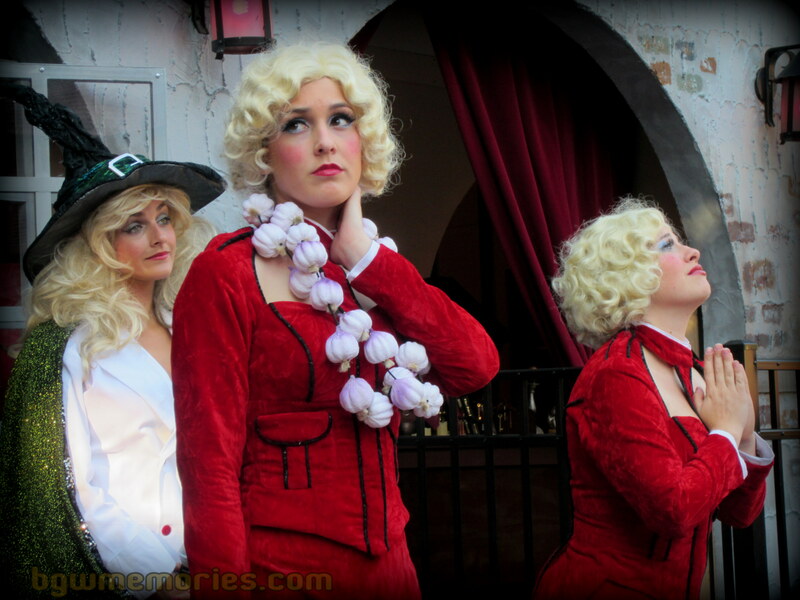 I love when performers stay in character, even when they are not center stage. 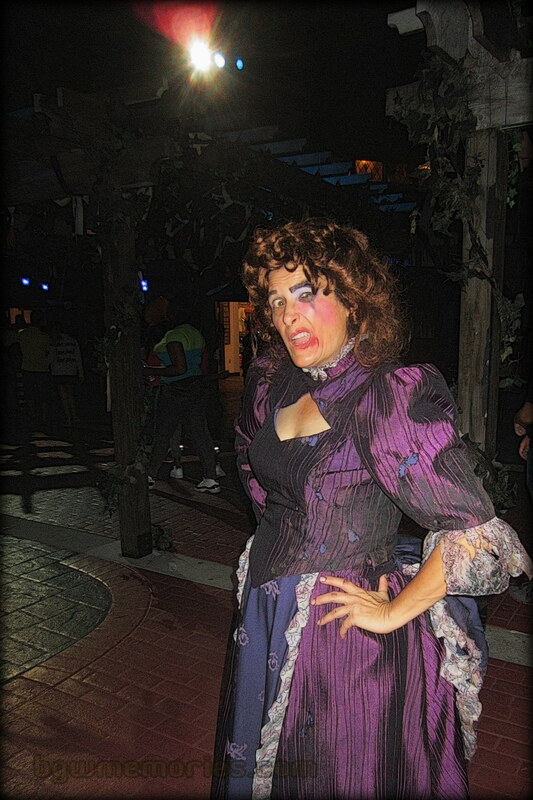 This lovely nurse strikes a pose in the shadows of the show Fiends. Even off stage, the actors of Dig it Up- Ham it up! It takes a lot of work to decorate an entire theme park. Make sure to look for all those hidden scares in the air and everywhere. 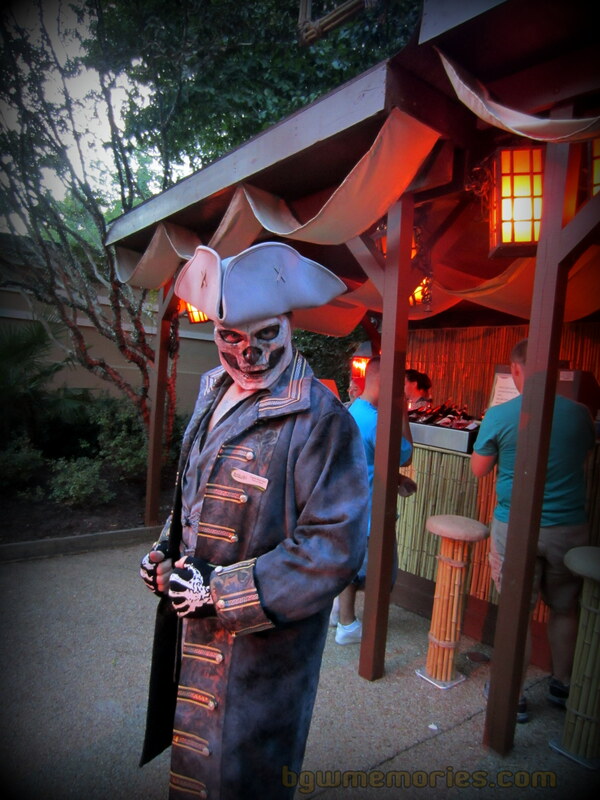 This creepy character greets you at the Pirate Baaaargh with a hint of humor and a dash of scare. 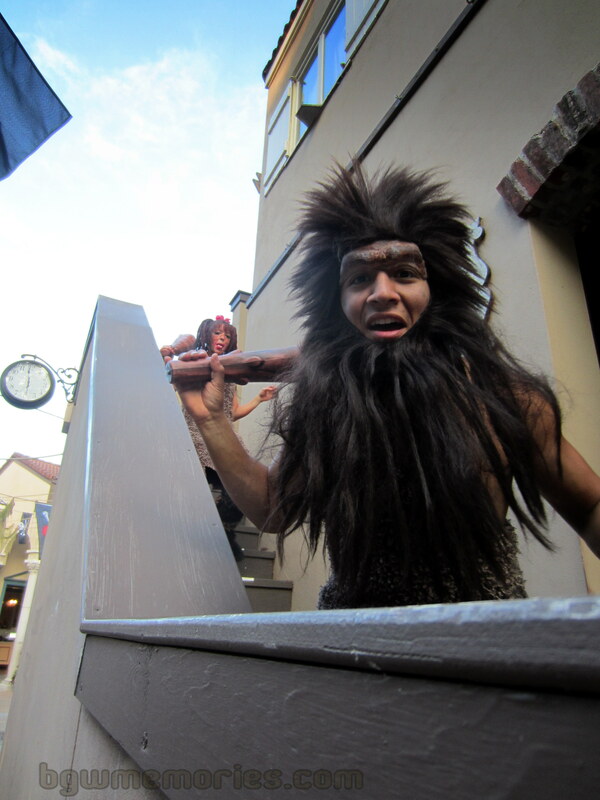 He is hilarious and the costume is fantastic! 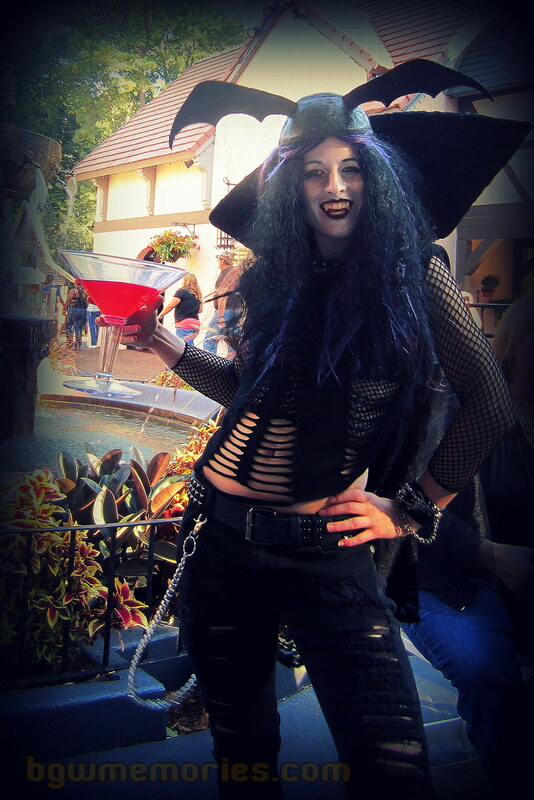 Open Casket Bar Vampires – serve you drinks in character and in a very tantalizing way. 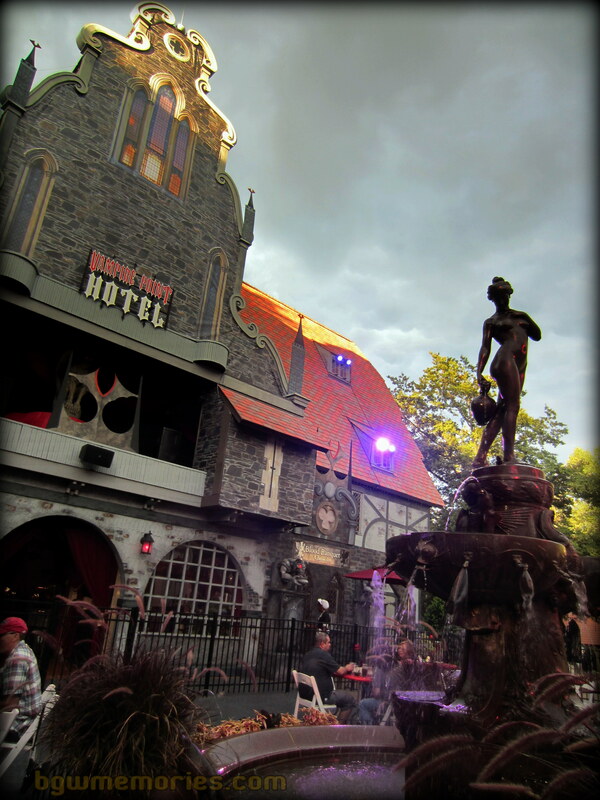 Their charm, costumes, and personalities are sure to lure you and your money on some frightfully sweet beverages. 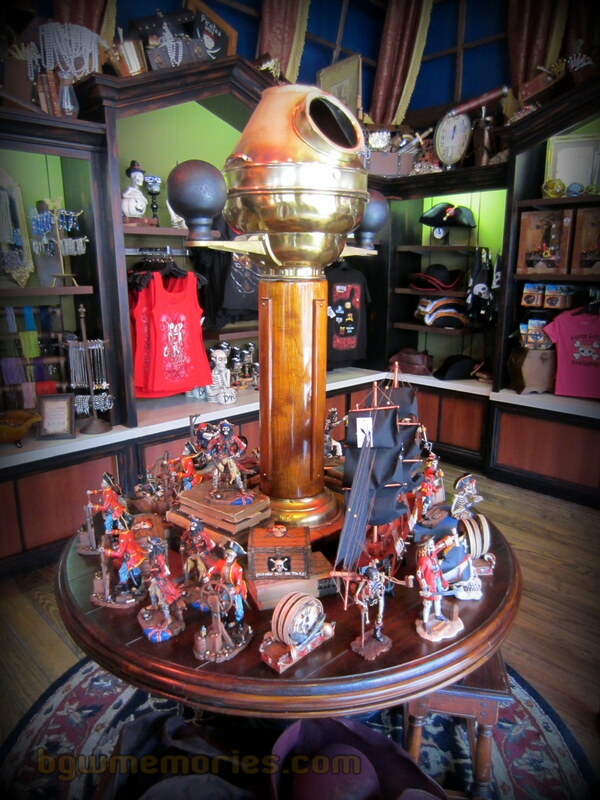 It takes time to theme a store and set up merchandise displays. Dont’ forget to admire the artistic effort that goes into selling these treasures. Hand painted works and various signage take time and talent. 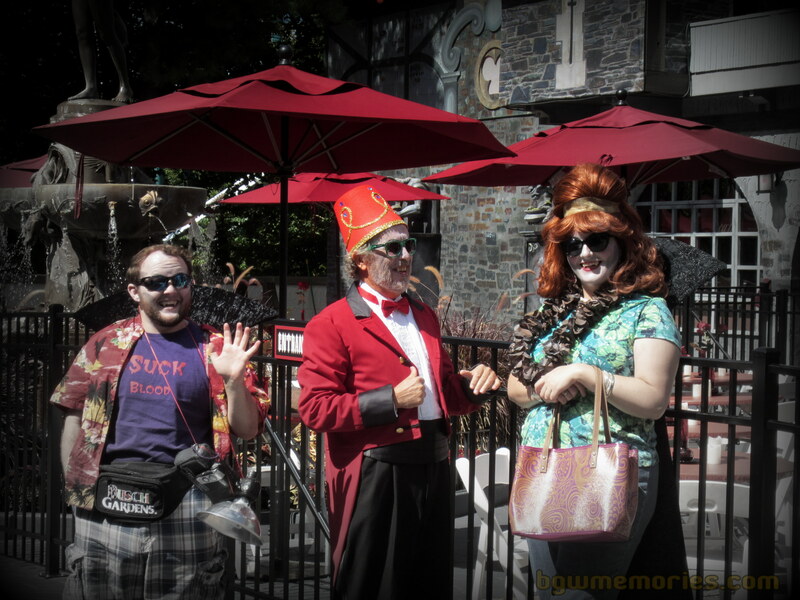 Costumes – costumes! 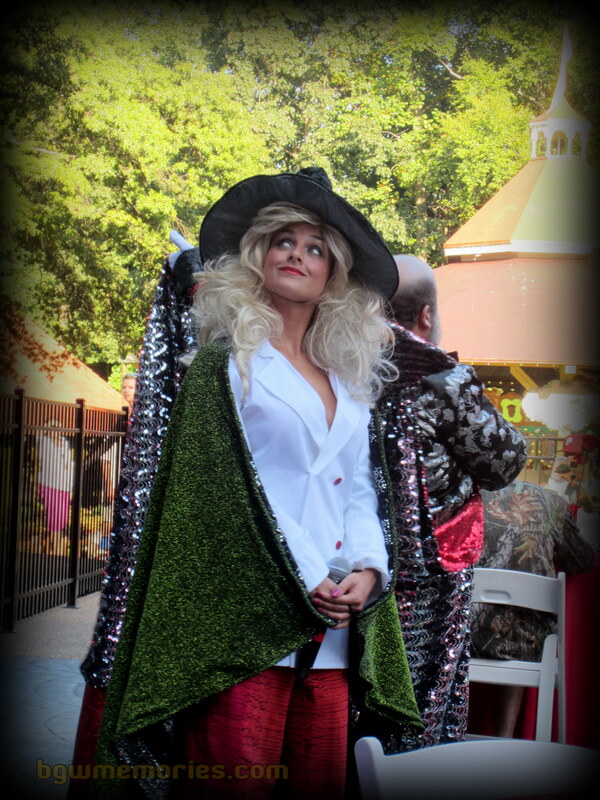 The skill needed to make all those costumes for the performers around the park never fails to impress me! 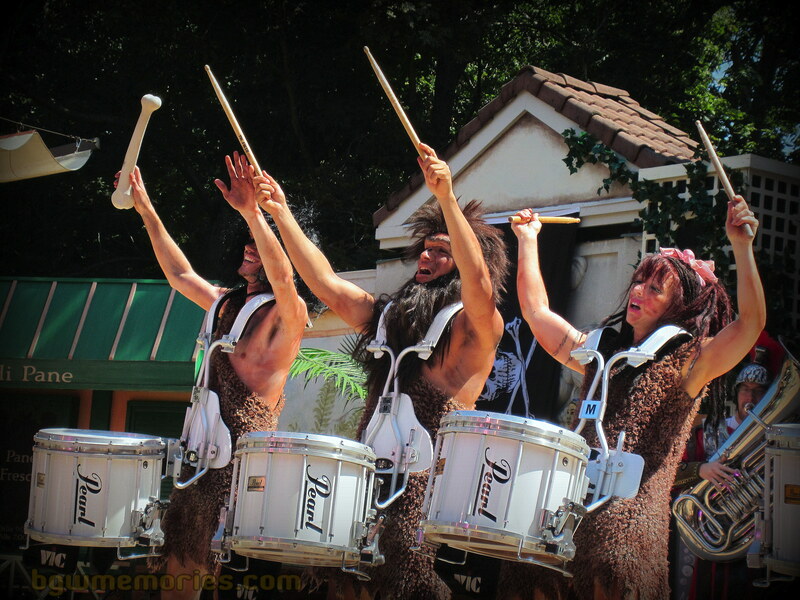 The drummers are always having fun but the cave girl always steals the show with her performance and mannerisms. You go girl! Female drummers rule! It takes a complete knowledge of color, choreography, musical ability, dance, composition, and staging to make a work of art like Fiends. So what inspires you? 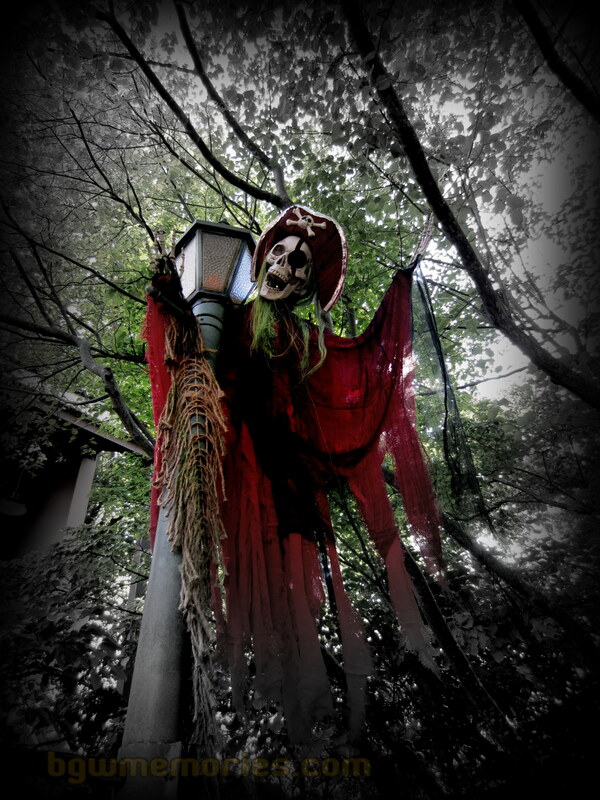 Feel free to share your favorite Howl-O-Scream art with me and the readers. In conclusion, I would like to send a special shout out to all those people who give 110% at the park. Thank you for all you do and for the memories!